We celebrated a holiday this week that has become an increasingly important celebration in the United States in recent years. It’s El Día de la Batalla de Puebla, or Cinco de Mayo (the fifth of May) to commemorate the Mexican victory over the French in the Battle of Puebla on May 5, 1862 when Zaragoza and the Mexican Army beat Maximilian’s French soldiers back to retreat. Not a Mexican national holiday, it is not widely celebrated in Mexico; in fact, it is a government holiday only in the states of Puebla and Veracruz. 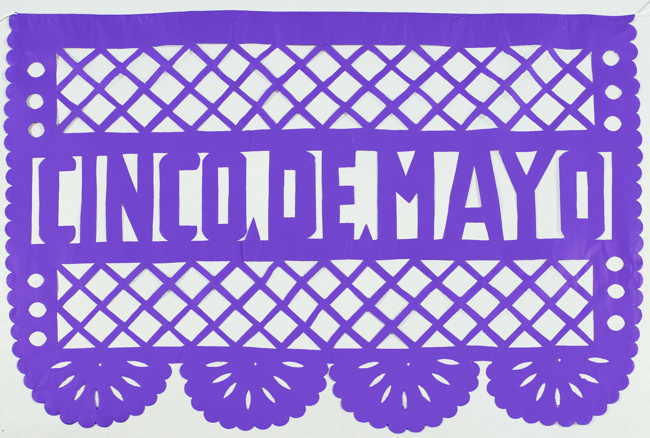 Since the 1860s, Mexican American communities in the United States have been celebrating Cinco de Mayo. In recent years, the holiday has become a great day to celebrate our rich Mexican heritage in this country. Today, Cinco de Mayo has become a BIG holiday. Huge. !Una fiesta grande! It’s a great reason to hang papel picado, play conjunto norteño and eat Mexican-style food, and practice speaking Spanish. In fact, on June 7, 2005, Congress asked the President to issue a proclamation “…recognizing that struggle and calling upon the people of the United States to observe Cinco de Mayo with appropriate ceremonies and activities.” At the same time, May is also National Latino Books Month, celebrating books by and for Latinos. So to commemorate this fun holiday and the great contributions of Latino and particularly Mexican culture, GPO would like to highlight a few of the many great Spanish language publications from the Federal Government. GPO distributes a large number of publications and cataloging records to Federal Depository libraries– there were 288 Spanish language titles sent to libraries in 2012. A number of the items cataloged in Spanish in the April 2013 record load were related to public health– if you need documents on the flu shot, or cancer facts for people over age 50, forgetfulness or getting a good night’s sleep, the Federal Depository library’s got them. If you are interested in more technical documents, such as Malformaciones arteriovenosas y otras lesiones vasculares del sistema nervioso central — your Federal Depository library’s got those, too. Maybe you’re studying information about relations between the United States and Mexico; you’ll find source material such as Boundary Waters Minutes of the International Boundary and Water Commission, and the Environmental Cooperation: Border Area signed by the United States and Mexico in September and November 2012. A really beautiful book for you to seek out is El Estado de los bosques de Puerto Rico, 2003. The cover art and the photos are wonderfully colored and detailed– look at the picture of the coqui on the page in between the cover and title pages. Another helpful detail is the appendix at the end of the book that provides the species name, the name in English and the communal name in Puerto Rico. 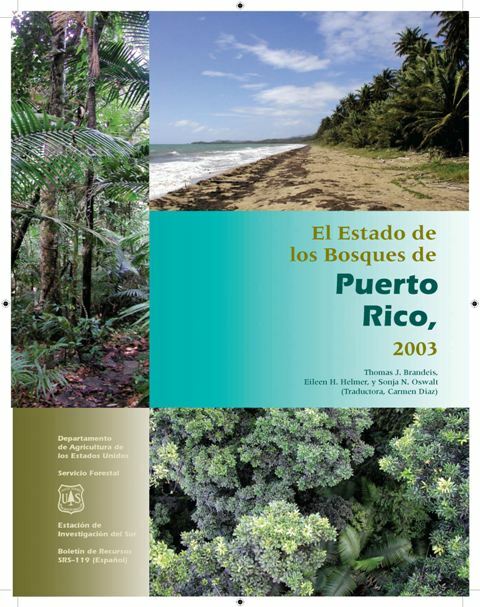 The Forest Service wrote this document for researchers, but it’s quite possible for grade school students or laypeople to read parts of this volume and glean useful information about Puerto Rico’s forests and natural resources. Download the electronic version of this publication at one of your local Federal Depository libraries. At the GPO U.S. Government Online Bookstore, you can find a number of Spanish language publications that will help individuals and families with parenting advice, citizenship tests, and learning more about Latinos in Congress and the Federal Government. There are also checklists of developmental goals for the various age groups, for example: Middle school– “Is there a transition program for students leaving elementary school and entering middle or junior high school?” Tips and checklists like these can keep parents on target with a child’s developmental stages. Even if the parent is familiar with all of these talking points, it helps to have them clearly laid out for reference. Another helpful Spanish language resource available from the GPO Bookstore is the Tarjetas de educación cívica para el examen de naturalización. As any cramming student (or former cramming student) knows, handheld flashcards are a key tool in memorizing information for a test, with a question on one side and the answer on the reverse. Previously only available in English, this new Spanish version of the perennial best-selling Civics Flash Cards for the Naturalization Test is highly useful not only for legal U.S. residents studying for their citizenship exam, but also for teachers and parents who teach standard civics lessons. Since the people who write the flash cards also set the test questions, the questions and answers are accurate (barring the warning about current appointments of specific officials). Instead of researching the answer to “¿Cuáles son dispuestos a nivel de gabinete?”, get the flash cards and be sure of the correct answer (hint: you’d be right if you said Secretario de Estado and Secretario del Tesoro, although there’s more than two right answers). If you teach citizenship or civics classes, or if you are studying for the test yourself or helping a friend or family member to study for the test, you are going to want to buy a copy of these cards. For a quick test of your knowledge of civics topics, take our Quiz: Are you smarter than an 8th grade Civics student? All of this varied and valuable information, and more, is available en español at the GPO U.S. Government Bookstore and Federal Depository libraries nationwide. How can I obtain a copy of these Spanish-language publications? Find the record for all these titles in GPO’s Catalog of Government Publications (CGP). Also explore books by and for Latinos in the US Government Bookstore category called Hispanics. This entry was posted on Friday, May 10th, 2013 at 12:06 pm and is filed under Consumers, Department of Education, Department of Health & Human Services, Department of Homeland Security, Presidents, U.S. Forest Service. You can follow any responses to this entry through the RSS 2.0 feed. You can leave a response, or trackback from your own site.